Wow! We like to do an annual review each year of new models hitting the market. Quite honestly, the last few years we’ve seen little in the way of decidedly new models coming to market. We call this the "new color scheme, same bike scam." 2014 is truly different. In fact, there are so many new-new models, this article will be done in two parts. Here’s the first must-sees on our list. I recall when a friend of mine bought the first year BMW F800 GS model. We joked about how one must set aside the same amount of money spent to buy the bike in order to purchase all the add-ons you’d want to make it your bike. 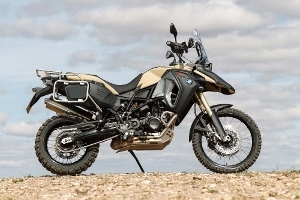 As it has done in the past with the R1200GS Adventure, BMW loads up this F800GS Adventure with the crash bars, luggage mounts and additional farkels to get you on your way. But the bike is not complete as it's missing luggage and all the other nominals that will truly make it your own. See Levi Stroppel’s review in this month’s issue. 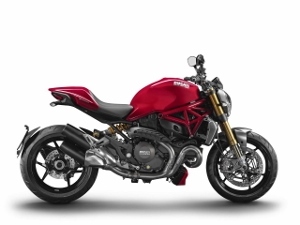 Recently Ducati Bellevue put together a very interesting slideshow tracing the history of the Ducati Monster. 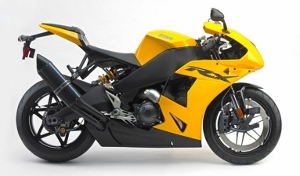 With the latest design, the bike carries about ½ the amount of frame structure as it did in its 1993 debut. Over the years, the bike has continued to increase in price. With the new 1200, it actually takes a nose dive on price, making it a more affordable bike, the way the original 600 appealed as an entry level Duc. You can take all the money you save on a 2014 and invest it in accessories! Eric Buell Racing is back with dealers across the US ready to sell the first mass-produced Buell since the company parted ways with Harley-Davidson in 2009. You’ll note there are many stylings in the new 1190RX reminiscent of the past, and some of the technologies such as oil-in-the-swingarm, fuel-in-the-frame continue as well. But with Erik Buell, technology never stops and the team has introduced new state of the art components into the design as well. Locally the bikes will be available through Bellevue Powersports. 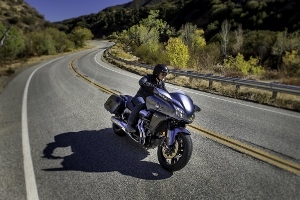 Speaking of Buell, you may recall the Blast 400, which allowed Harley-Davidson to provide a low cc motorcycle in which they could offer their dealer-based Riders Edge training program. When Buell was terminated, so were most of the class offerings. 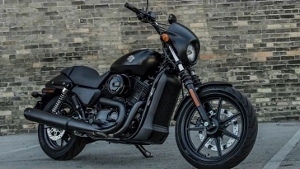 But H-D is back with its lowest cc branded bike in years, the Street 500. Good to see the motor company back with an entry level offering. 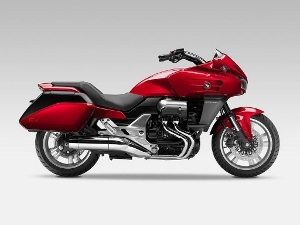 Honda’s NC and CX offerings signaled a new life for the top Japanese brand that was crawling on its knees by the end of the last decade. Today Honda is bringing new technology and new designs to the market that are striking a chord with consumers across all model types. The CTX1300 incorporates gothic lines from the DN-01 and a V4 motor that purrs, all wrapped into a touring package that might make a big-bore anarchist think twice. 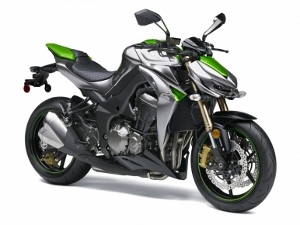 Kawasaki’s Z1000 street fighter continues its evolution of naked dominance in the design category. One look and it’s telling you right away "Fender eliminator kit please.” But there’s more going on here than just looks. Its larger tank, upgraded exhaust and ergonomics make it perfect for the rider looking for an all-day-ride machine that’s sporty to the hilt. Maxi scooter lovers everywhere, take heed. 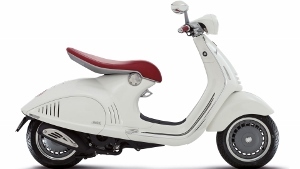 The 700cc maxi is on US shores now. 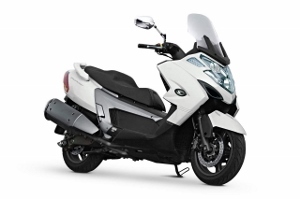 While others have teased the market with prototypes, Kymco makes it a reality. Utilizing design features that made its popular Downtown series a hit with the day-ride crowd, the MyRoad 700i amps it up for multi-day touring, or a just a simple trip to the hardware store. Under the seat you’ll find plenty of storage. Add a top box and ultra-light two-up touring gets real. It’s been some time since anyone has released rear suspension under the seat technology, so the jury is out on this wildcard. But regardless, the look and the bike are sure enough unique, and for around-town-travel it will probably be just fine, if you can skirt those dang Seattle city potholes. Retro meets digital with an LCD dash readout and LED headlight system. Can anyone recall the last time Yamaha released a three cylinder anything? 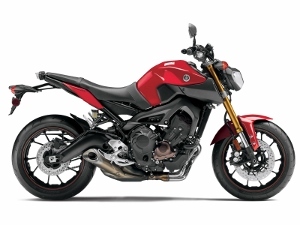 What’s good for Triumph, even today, may be an ace-in-the-hole for Yamaha as well. Inverted adjustable front forks, under-the-foot exhaust and some nice modern styling make this bike a looker from any enthusiast's point-of-view. If the model has a single flaw, it’s in the fuel capacity of just 3.7 gallons, offering up a total range of just 164 miles. Much less than its other naked offerings in recent years. Let's meet back here next month for part 2.